While most pit bull owners will tell you that their dogs are loving and gentle creatures, the breed has gotten a bad rap for being violent and aggressive. Their bad reputations often get them banned from places. Whether it be apartment buildings, social events, and even municipalities. 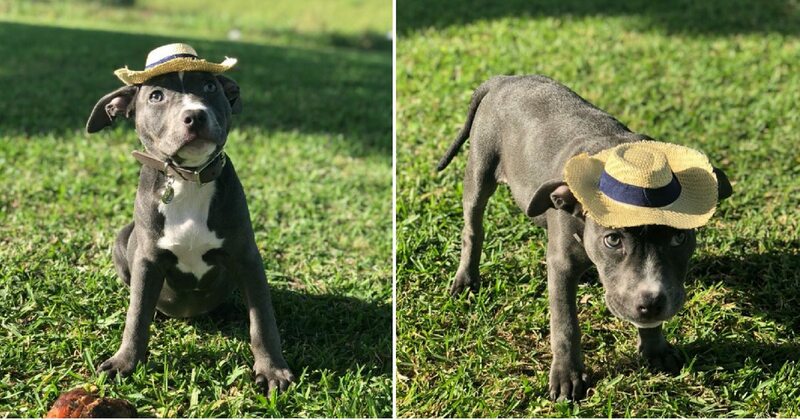 This is exactly what happened to a 9-week-old pit bull named Blu who was denied entry to a puppy party. 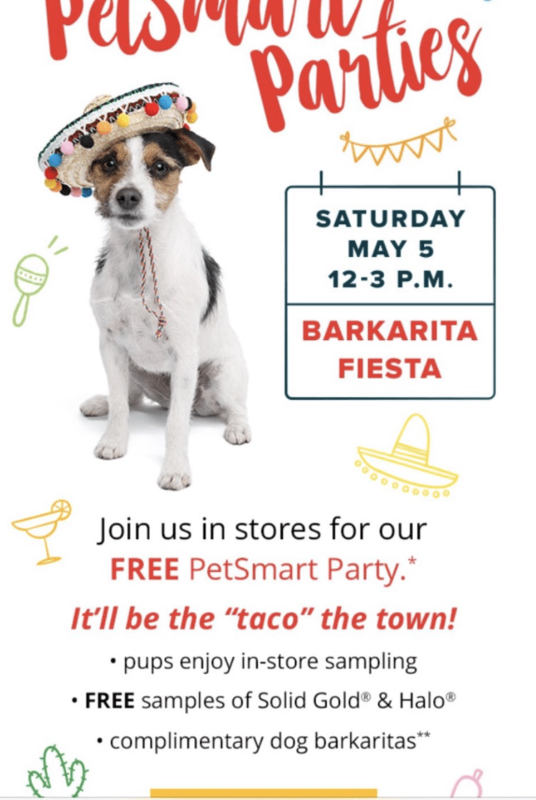 Blu’s human Ashley Yanez decided to take Blu to a PetSmart in Houston, Texas for their Barkarita Fiesta on Cinco de Mayo. 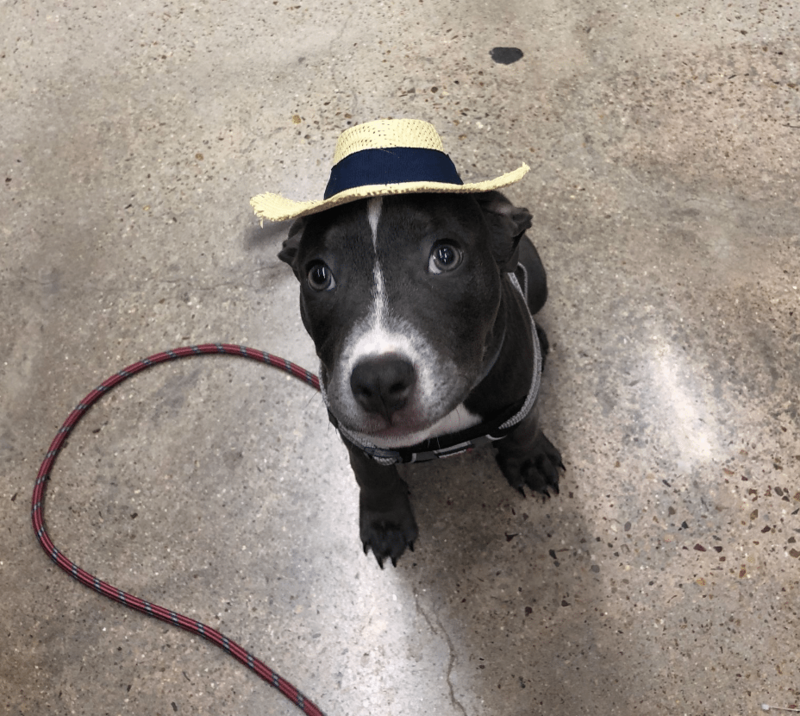 Blu was all dressed up in a cute hat and ready to go play with his fellow pups. However, when they arrived they were denied entry to the party because of Blu’s breed. Ashley was pretty upset and took to Twitter to complain about it. “Every time she sees a dog she tries to play, but the other dogs either don’t feel like it or just ignore her so we were so excited to take her to the class,” Ashley told BuzzFeed. 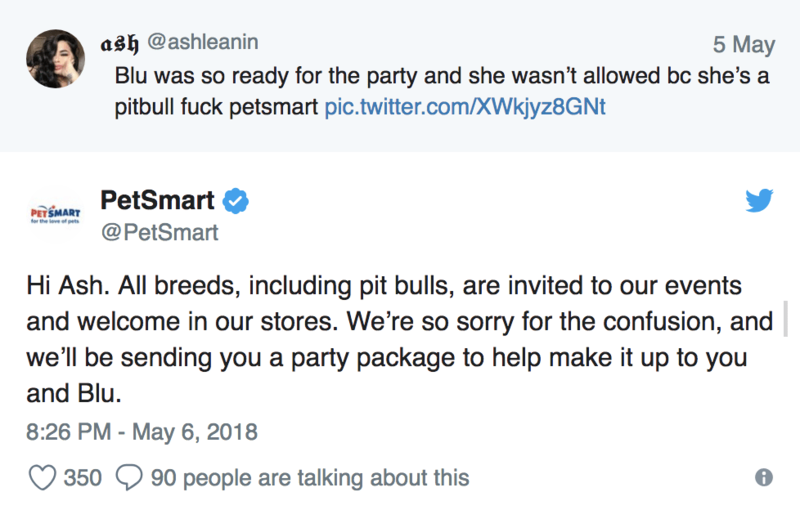 PetSmart later saw Ashley’s tweet and reached out to apologize. “Hi Ash. All breeds, including pit bulls, are invited to our events and welcome in our stores. We’re so sorry for the confusion, and we’ll be sending you a party package to help make it up to you and Blu,” the company wrote in a tweet. 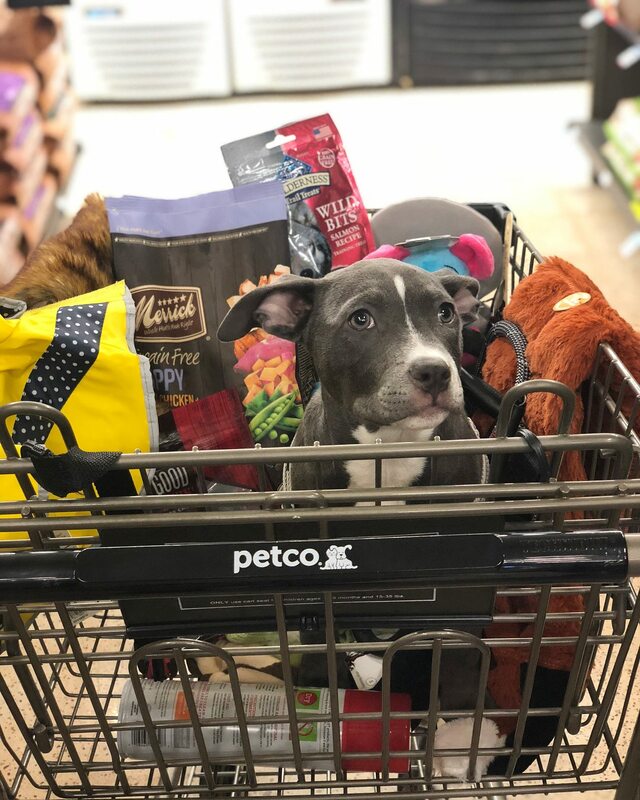 PetSmart allows in stores if they are on a leash and can participate in adoption fairs, according to Huffington Post. PetSmart does, however, discriminate against what they call “bully breeds” at their day camps and group playtimes. 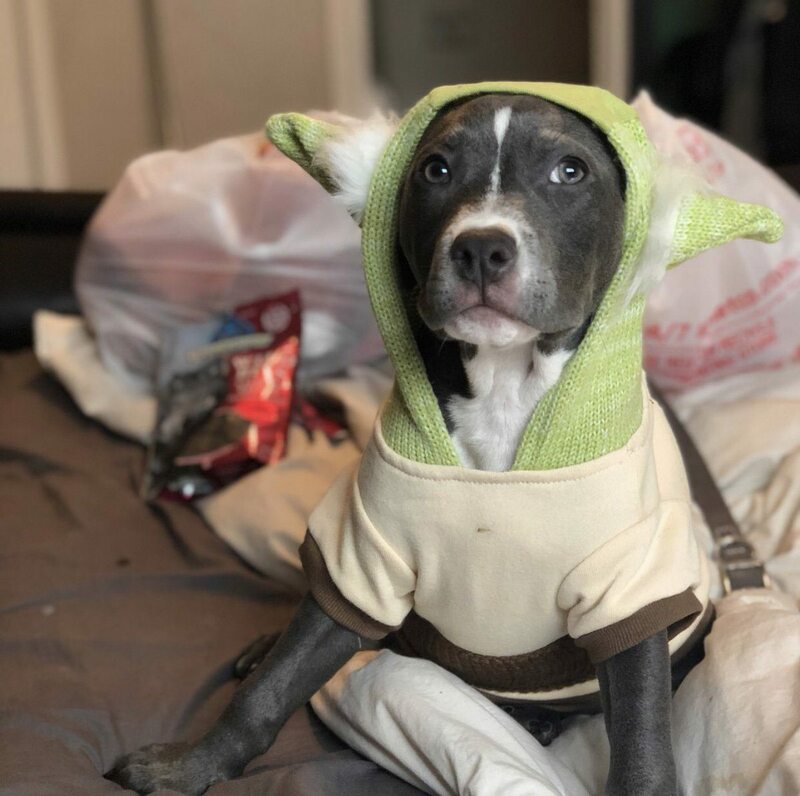 “Furthermore, for the safety of all animals and associates, we cannot accept dogs of the “bully breed” classification or wolves/wolf hybrids including American Pit Bull Terriers, Miniature Bull Terriers, American Staffordshire Terriers, Staffordshire Bull Terriers, American Bull Dogs, Bull Terriers or mixed breeds that have the appearance or characteristics of one of these breeds. At the discretion of PetSmart, some pets may not be permitted,” their website states. So, Ashley wasn’t exactly satisfied with their apology. “Thank you but no thank you. We want to support businesses that don’t discriminate against certain breeds. It’s very important for all dogs to socialize no matter the breed,” she replied in a Tweet. Ashley’s original tweet ended up going viral and was liked 351,000 times and retweeted 129,000 times. Many people Tweeted her to send their condolences and share pictures of their own pit bulls. 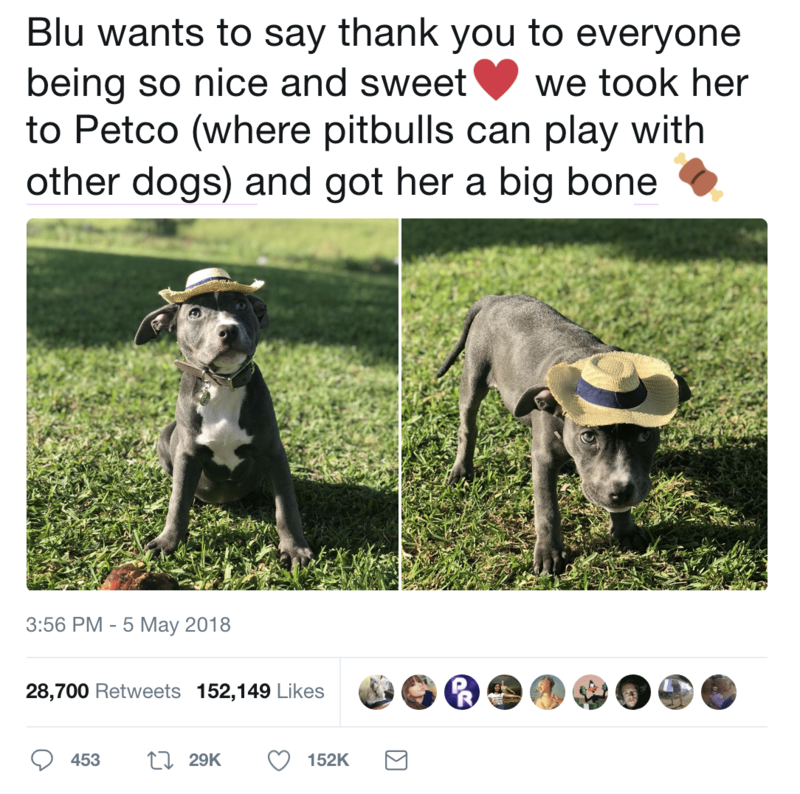 “Blu wants to say thank you to everyone being so nice and sweet we took her to Petco (where pit bulls can play with other dogs) and got her a big bone,” she wrote. Ashley has inspired people to stand up for pit bulls and shared the hashtag #dontbullymybreed.